It’s unusual to see so much text on a professional training site. We know. That’s because you are constantly being bombarded by images – images that, while adding color, will not help to dynamically improve your skills. So if truly reaching your highest potential means little to you, then you can close this window. Go ahead, close it. But we know that that’s probably not the case. We know that more likely than not, reaching your highest potential is what brought you here. 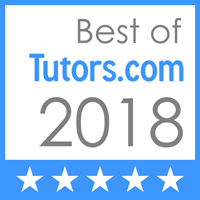 Whether you’ve just started contemplating augmenting your Business English skills, improving your soft skills, developing yourself as a leader, or you’ve gone through every class, every book, every online resource, and every private tutor, only to feel frustrated, wondering what may actually get you the best results that you are capable of, we know what it takes. It takes two things: a very strict hiring process for qualified Instructors, and a more personalized approach to training. You are constantly bombarded with marketing for expensive study guides, companies and community colleges that spend more time and money marketing to fill their super-packed prep classes than they spend on their students – or on bettering their courses for that matter – and courses that promise everything short of a degree, etc. We’ve been there. Our Precision Advisors have been students of nearly all of those companies. And they know exactly what’s been done right, and what’s been done wrong. So when you need a specialist, is it wise to approach an impersonal mega-store? No. So why would you sacrifice your prep experience? But we’re not aiming to put ourselves verbally ahead of other training services – we’ll let the results do that. Your success is our main focus, and always will be. So have you ever been offered a training experience? Not a simple course or some basic tutoring. We’re talking about a training experience, where you are the focus. Let’s start with our minimum guarantee: you will make progress by the end of a group or a private course. And let’s add in the ability to retake sessions of your course, for free, if you feel the need to do so after completion. But we won’t leave you at the door of your class. Throw in complimentary non-class-time admissions or employment counseling, where applicable. We’ll review processes and guide you through questions on your applications, offer you critical pointers specific to your admissions essays, resumes, and interview questions, and counsel you on what to do, and what not to do, to get accepted or hired. That’s the key, right? So we’re not done just yet. What do we mean by personalized approach? For starters, even if you choose not to take a private class, you will never see an overflow of students in any on-site class, no matter what the demand, and we cap many of our classes so as to maximize personal attention. Fact. And our campuses do not house standard classrooms, they house (upscale) conference rooms. Fact. Why do we mention this? Because conference tables (with the Instructor’s whiteboard up front) allow for more personal interaction with your Instructor, and with the other students. Because just like the way top universities conduct classes, we know that helping you to understand the right strategies does not call for impersonal lecturing, it calls for instruction, discussion, and above all, resolution. We encourage our trainees to get to know each other, and to work together inside and outside of the classroom, for even greater success. And while there is a strong personal immersion method (and coursebook) that go along with all of our training programs, the supplementary materials that our Instructors make use of are diverse, as they allow you to see your training from several time-tested vantage points, for the most refined success for you. So Precision is itself a different kind of training experience. That’s right. We said experience. Not super-conglomerate company. If you’re here, chances are that you didn’t find us through big marketing methods. You may have searched for us on the web, or you may have found us through an awesome referral. Because our best marketers are you, our students. Because you are not just another number. Your individual success in soft skills, leadership development, or Business English is our personal project. So if you are serious about us, we will be serious about you. And we will aim to change the way that you see the different aspects of your training needs, altogether. Questions? Call 1-800-795-6295. That’s 1-800-795-6295. So you’ve found us. Now let’s get on to what really matters. Your success. Ready? Let’s go. PS – We forgot to mention (there’s a lot to mention) that we offer one of the best referral programs out there, too. Get $50 back for each friend who joins your course. And of course, should you be unable to pay your tuition in full, we offer zero-interest installment plans, without any bureaucratic bank approvals required. We know that you’re going to be working hard – we expect it – and if times are a little tough, we want to make your instruction easier for you. Just make us proud in return.